Eoin Lyons of Opal argues recent protection market growth is just an economic cycle and we need distruption to create real growth. Digital providers such as IRESS and iPipeline have reported significant increases in protection and Equifax Touchstone is reporting a five year high in protection sales. This of course is welcome news for the industry but in my view the market is not being disrupted and the protection gap is not being closed. 1 in 10 incomes protected and less than 1 in 2 mortgages protected does not indicate a successful market. I propose, while there has been valuable work in the area of product development, customer service and general awareness, this growth is mainly down to where we are in the economic cycle and is not really improved performance from our sector. To give some context, UK Finance has reported a 15% increase year on year on new mortgages being placed with a more modest 8% increase in re-mortgages. The number of new mortgages being arranged is still only two-thirds the level seen at the peak in 2005, however. As of January 2018, the UK has a workforce of 32.2 million which is an increase of 4.5m in the same 13-year period. Since 2013 the sales of income protection per worker trend have been improving which is good news but we are still way off the mid-2000s. In 2018 there will be perhaps just over four new-business IP policies placed per 1000 workers which is a modest increase on last year but still nowhere near the five policies sold per 1000 workers in 2005. I found a quote often attributed to the former captain of the New Zealand rugby team, Sean Fitzpatrick. "Celebrate success, but park it quickly, remember your losses more than your wins". In the protection sector, how do we test and learn? Very few people want to be first to market with something risky, everybody wants to be second or third once they see it works. The expected return of major banks into the protection market may well deliver some sustainable growth. Banks can certainly engage customers at their various moments of truth, both traditional and digital, and unlock the value and trust in their brand. The challenge they have is speed to market and legacy technology. We have seen great new ideas and some disruptive digital start-ups in non-life insurance gain traction, but customers are more easily engaged on risks where claims are much more frequent and on products that renew annually. The problems in our sector are much more complex. Our problem is to identify the precise moment the need is known and understood by a customer, a way of engaging them, a frictionless way of fulfilling a sale, and offering easy to use self-serve options to administer and process claims. Tweaking products will not solve this for the mass market. A new trend which is interesting is innovation through collaboration. We are working on a number of projects where three or four organisations who are experts in their own field come together to solve industry problems. We are looking at a couple of ideas to put a protection offer in a simple but engaging way in the customer journey on a related product at the exact time it might resonate (we think). We will take the data we already know about the customer and make the application and sale journey simpler with no double entering of information. But they may well not work! I think it comes back to the collaboration idea and in particular finding a commercial model which might support new ideas which might in part fail. It probably means digital, at least as an enabler. There are businesses in our sector, even some traditional players, with budgets to try things which might not work. There are plenty of insuretech and fintech accelerators and associations where the new ideas are being discussed (be prepared to wear your skinny jeans). If I was an adviser I’d go digital and find more ways to serve each individual customer on my books, and perhaps their children. If I was a traditional bank or insurer I’d find somebody to work with who is faster than me (that’s everybody) and who can connect me to the good ideas, and not be afraid to place a few bets that don’t come off. My view is that the industry will not be “dis-intermediated” but advisers will move up the value chain, and perhaps become more profitable, and the mass market will serve itself digitally. That is the only path to true growth. As I said at the start the increase in business is welcome. 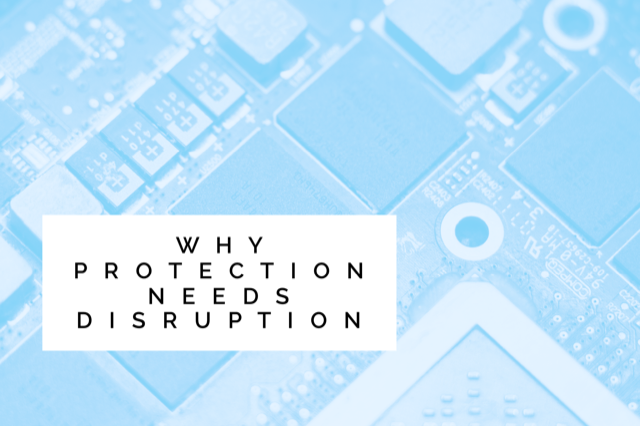 I am optimistic there is enough talent being deployed to solve these complex problems and to try and find the true growth in protection where the mass market can protect itself.